As a case against State Rep. Dawnna Dukes is scheduled to get a grand jury hearing on Tuesday, some of her constituents worry the case will distract her from fulfilling their needs. Frederick said he's been living in HD 46 for three years since moving to Pflugerville from Dallas. Reminiscing about the days when commuting home from work took him 15 minutes instead of 30, he expressed dwindling hope that Dukes, the Democrat who has represented the district since 1995, could file bills this legislative session to regulate the city's growth and manage property taxes. "I think her time has come and gone," Frederick said. "She's done some things for the district, but it just appears now, to me at least, that she's pretty ineffective." Many in Dukes' district have expressed similar concern that the ongoing criminal probe and upcoming grand jury hearing will distract Dukes from fulfilling the needs of her constituents. Former staff members have accused Dukes of seeking reimbursement from the state for travel payments she was not entitled to. In February, the state auditor's office was investigating her use of state workers for personal projects. In April, the Texas Rangers joined a criminal investigation into Dukes' behavior and presented their findings to the Travis County District Attorney's Office. Dukes has denied misusing legislative staffers or funding. Jury members are scheduled to meet for an hour on Tuesday, but it's unclear if they'll hand down an indictment or request more time to decide whether Travis County prosecutors should pursue charges against Dukes. Dukes' district includes parts of Austin, Pflugerville and Manor. Travis County District Attorney Margaret Moore previously told the Tribune that the case against Dukes was ready months ago but that Dukes requested a delay so she could resign and negotiate the case. But with just days to go until the start of the legislative session, Dukes surprised constituents by reversing her decision. At the state Capitol's Martin Luther King Jr. celebration Monday, Dukes declined to comment on Tuesday's grand jury hearing. "Today is MLK day. I'm talking about MLK, and I'm here to represent the district," Dukes said. "Those are the only things that will be discussed today." Dukes has not yet filed a bill this legislative session. She has said previously that she is focused on the Child Protective Services crisis and getting her spot back on two appropriations subcommittees. 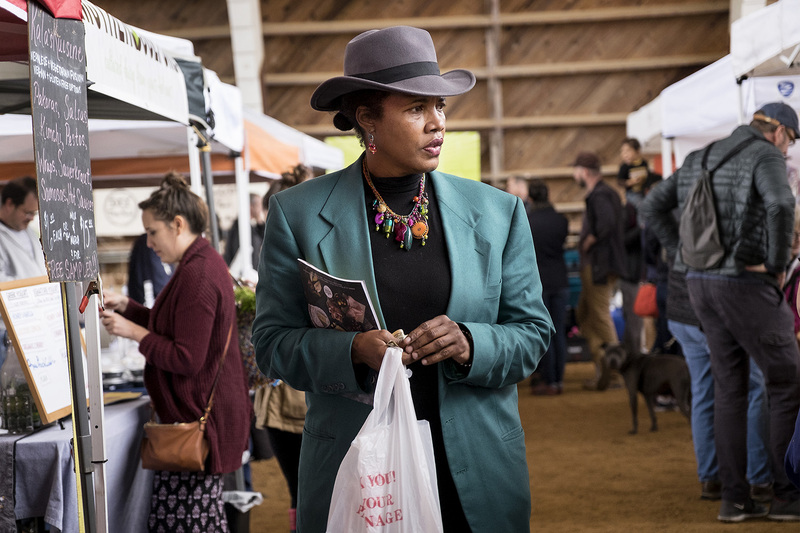 At the Texas Farmers Market at Mueller in East Austin, shoppers sampling foods such as salt and pepper-braised brisket and dairy-free bourbon vanilla yogurt offered glimpses into the racial, age and socioeconomic diversity of Dukes' district. 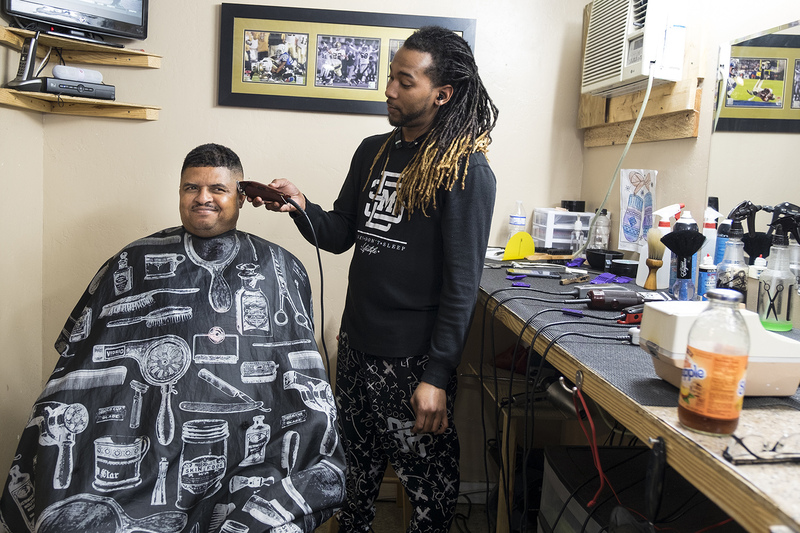 The market also is a lens into some of the larger issues Dukes' constituents are worried about and are hoping the embattled lawmaker will tackle this coming session. Among shoppers browsing the aisles, Valerie Deyo, 60, said affordable housing options and senior support services are her top concerns. The real estate agent and longtime resident of East Austin said both issues are close to her heart after years of watching the area evolve with new housing developers pushing and harassing black residents and elderly adults out of their homes. "People that used to live there don't live there anymore because they can't," Deyo said of the gentrification in the area. "How can you not live in your neighborhood when you've been there forever?" If Dukes can fix those issues, Deyo said she would vote for her again. Deyo was one of the thousands of HD 46 voters who re-elected Dukes during the 2016 election cycle — despite her legal woes, she captured 70 percent of the vote. When asked about the accusations against Dukes, Deyo said it was part of being a politician "in a glass house." She said Dukes "can't sugar coat" the allegations from her staff — "You can't take advantage of people and not expect them to stand up for themselves." Everybody makes mistakes, but "that doesn't change who [Dukes] is or what she's trying to do," Deyo said. "People that voted for her, that know her in this community, know she's a good woman. That was just an issue that got out of control ... it was a mistake, you move on from it." Two aisles over at the farmers market, Jeff Clarke, 37, and Caroline Wibbelsman, 36, pushed their nine-month-old son in his stroller. Clarke said Dukes' legal issues were problematic but that he voted for her in November. "When it came down to the election it was more important for me to vote for a Democrat than a Republican, just based on issues I care about," Clarke said. 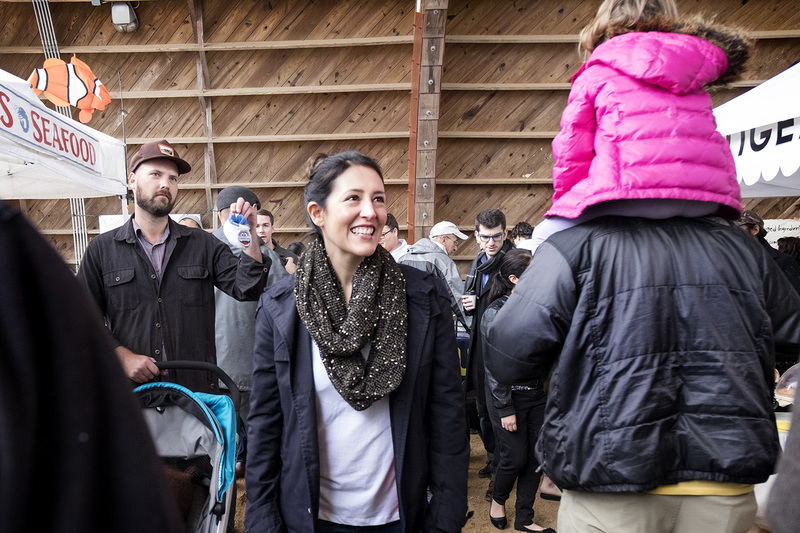 Wibbelsman, an Austin native and two-year resident of HD 46, said she hopes Dukes will look at affordable housing, health care, environmental issues, education and public transportation during the legislative session. "I'm open to voting for whoever is going to make the city better and is more aligned with our values. ... Whoever that is tends to be a Democrat," Wibbelsman said. Other constituents have said they're open to voting someone else into Dukes' seat in 2018. 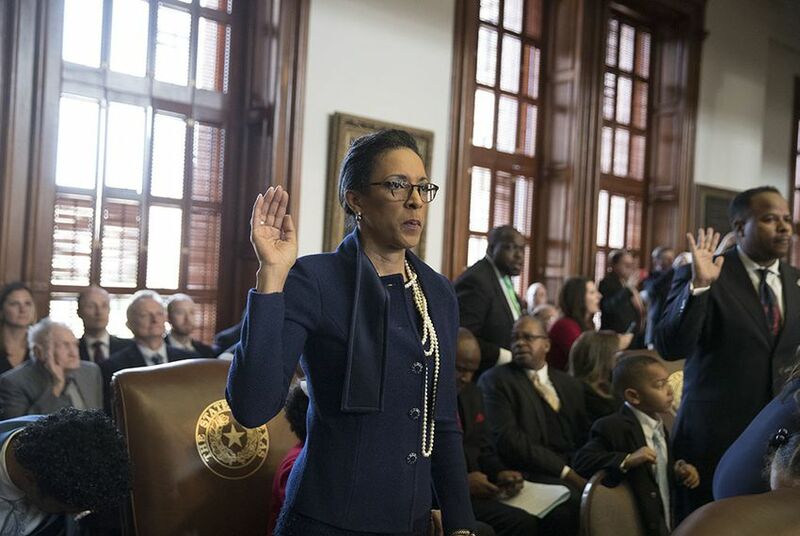 One of those contenders may be former Austin Mayor Pro Tem Sheryl Cole, who said last week she'd run against Dukes in the 2018 Democratic primary. For Frederick, there's "always the comeback kid," even in politics, but he said Dukes needs to handle her legal troubles. "How effective can you be if you're mounting a defense and you're concerned about these legal issues?" Frederick said. "Obviously, that's going to take away from the priorities of the community." Dukes confirmed to the Texas Tribune last week that she is not resigning, months after announcing plans to resign in January. Even after vowing not to serve her district in the next legislative session, Dukes won more than 70 percent of the vote. Emails from Dukes to her office staff showed how state workers worked on the African American Community Heritage Festival, a local event Dukes had organized for years. She insisted her staff's work was neither illegal nor improper.